Just say no to wet carpets! Use the power of OXYGEN to get Fresher, Cleaner, Drier carpets. 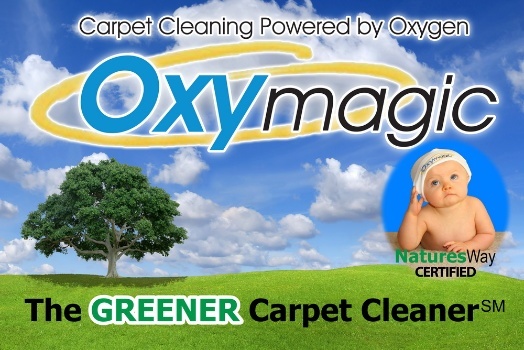 Years of research & development went into the OxyMagic method of cleaning. "Had Oxymagic clean the carpet couple days ago and my carpet looks so good. My family commented on how clean the carpet looked! I don't have to be ashamed of my stairs anymore. The wonderful thing is our big master bedroom was dry in 30 minutes! Hallway and stairs in about one hour."